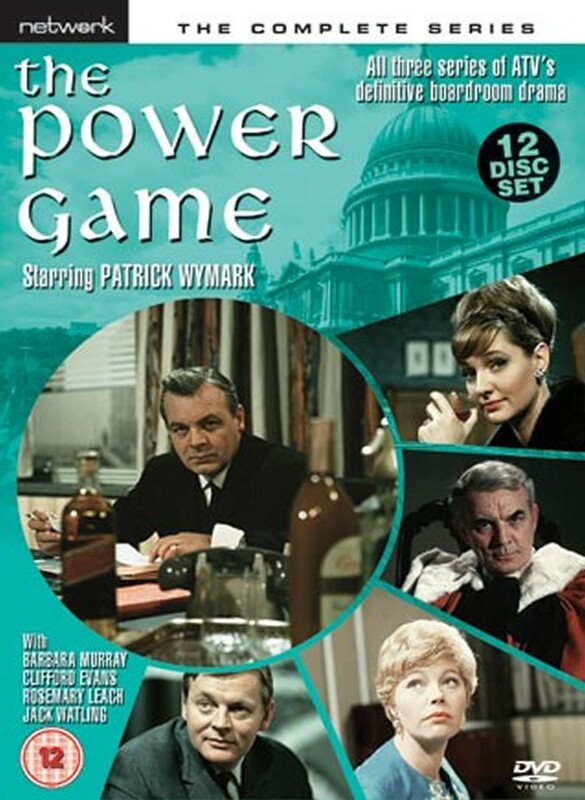 The Power Game - ATV's famous boardroom drama from the 1960s stars Patrick Wymark as John Wilder, the ruthless and power-hungry executive whom everybody loves to hate. His adversarial relationship with his wife and colleagues in his fight for political power and one-upmanship set the template for many boardroom dramas to come. Wymark revelled in his role as the despicable Wilder, his strong and compelling characterisation encouraging equally high-calibre performances from co-stars Peter Barkworth, Clifford Evans, Barbara Murray, Jack Watling and Michael Jayston. Comprising of all three complete series, this box set will appeal to fans of high-quality drama and archive television. With both the second and third series unseen since their original transmission, the majority of episodes have been transferred from film elements especially for this set.